Happy Monday! Hope you all had a great weekend. You may have seen on social media that we had a bit of a disaster when Andy fell down the stairs and sprained his ankle on Friday, putting a damper on our clean-out-the-whole-house plans, but we still managed to get almost everything done, especially thanks to Andy’s dad. Throwing things away is fun! Seriously. 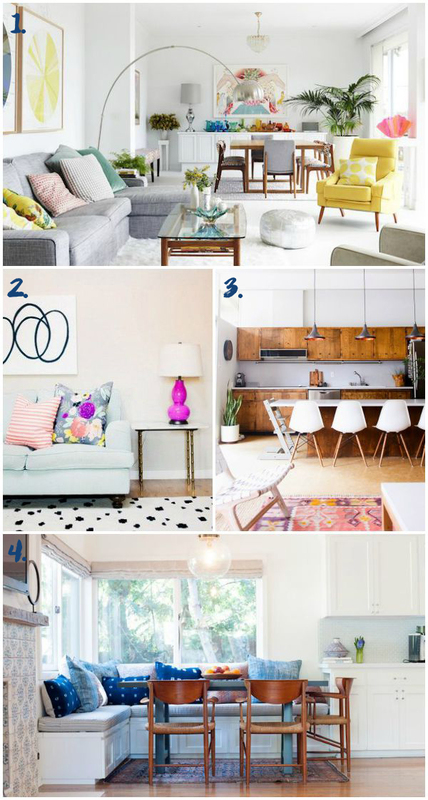 Today I want to talk about decorating! Because, have you met me? This is what I always want to talk about!! When we bought our old house, the one we still actually live in and are going to sell soon, the closest thing we had to a decorating strategy when we moved in was “PAINT IT EVERY COLOR AND FIGURE IT OUT LATER!” So we ended up with rooms in all the bright colors, no sense of cohesion and just sort of a mishmash. It was fun for a while, don’t get me wrong, and in my book at least, it’s probably better than being boring (right??? 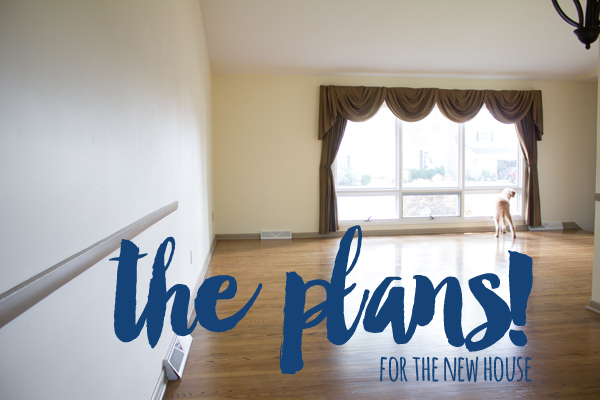 ), but having no overall decor plan is chaotic and disjointed, and chaos leads to stress, and no one wants a stressful house! So this time we’re starting with a blank slate and a whole heck of a lot more knowledge about what we want to do. 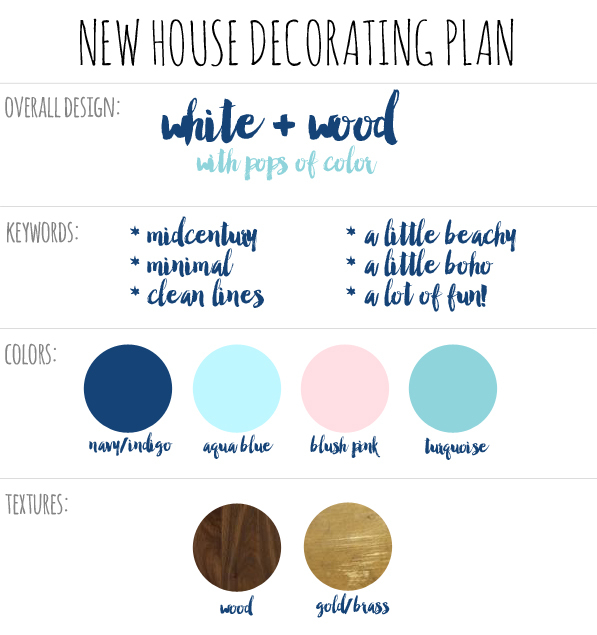 One of our main goals for the new house is for it to feel much more open than our old one, so having a cohesive color palette and repeating elements throughout the rooms is going to give it that bigger, more open feel. So what’s our plan?? Well, since you asked, here it is! White, wood, gold, pops of color, midcentury, shades of blue, a little beachy/nautical… Totally predictable if you know us. 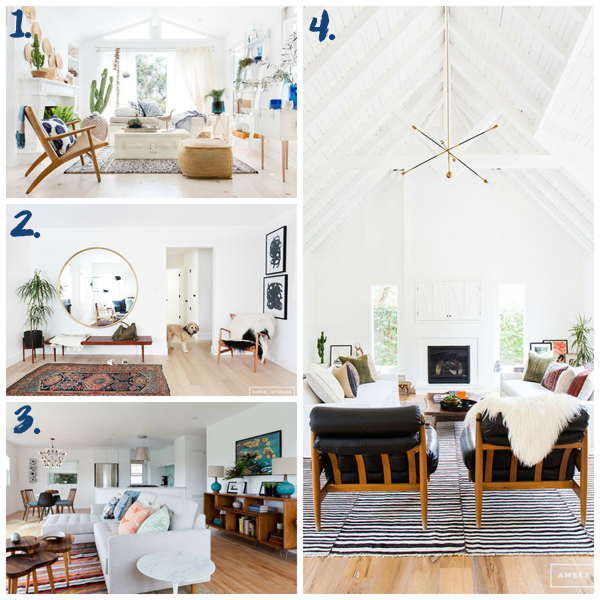 My goal is to stick to this general strategy throughout the whole house, but still make each room feel unique and fun. That means we’ll paint all the living spaces white, but maybe a nursery will be pink :) … Your guess is as good as mine! !